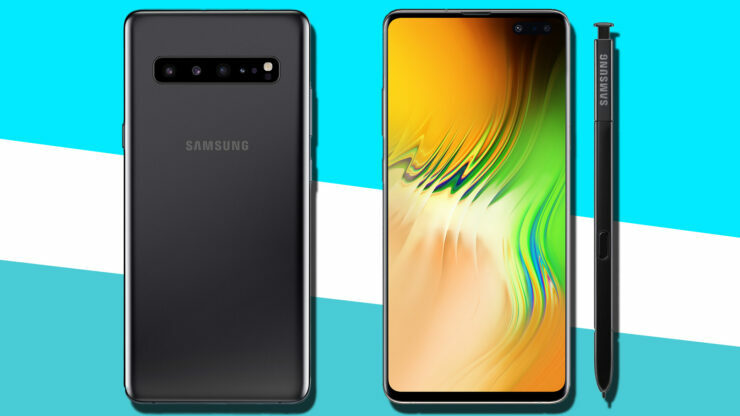 The Galaxy Note 10 leaks and rumors are arriving in droves, and just to remind our readers, we reported that the upcoming flagship phablet might be launched in four models. Before that, it was rumored that Samsung would be preparing a cheaper version of the Note 10 that would be sold in the European market. Keeping rumors and other information alive, we have more to share with you, as the Galaxy Note 10 model numbers have apparently been revealed, showing which models to expect in the near future. It turns out that these models aren’t going to be drastically different than we thought, and if you want to know more, continue reading on. The latest report published by Sammobile states that SM-N970 and SM-N975 are the two primary model numbers belonging to the Galaxy Note 10. We should expect both variants to feature different screen sizes, as well as varying hardware specifications, including fewer cameras on the lower-spec’d version. There was an earlier report suggesting that the Galaxy Note 10 would be available in the 6.28-inch and 6.75-inch display versions. We reckon that the larger one will be given preferential treatment in terms of the number of cameras, battery capacity, and other hardware. As for the remaining two models, they have been named SM-N971 and SM-N976, and these will most likely be the 5G counterparts. However, before you get excited, the aforementioned versions will most likely be sold in countries where 5G networks are live. That being said, don’t wait up if the Note 10 with an active 5G modem does not end up getting sold in your region. Industry experts have also warned that the benefits of 5G connectivity will likely be seen next year, so don’t feel too bad if you don’t get to experience the latest and greatest wireless standard. Sadly, this is all the information we have for you, but before the imminent launch of the Note 10, there’s going to be a lot of content surrounding the flagship phablet, so stay tuned for more updates from our side.